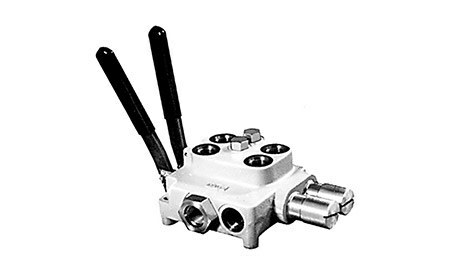 The Cross AD Series directional valve offers differential style relief, load checks and excellent metering in a compact, economical model with parallel flow paths. *For operating double-acting cylinders or a reversible hydraulic motor. **Float position allows a loader, snow plow or dozer blade to ride the contours of the ground as the machine moves forward.